English voice-over is one of the most indispensable services of the media production sector. For film and video projects, production companies often need English voice-overs. To do this, the production companies find the voice-over agency and buy the dubbing service in English by selecting the appropriate voice from the English voices bank. 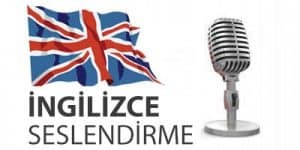 English dubbing differs from accent and dialects ​​because it is a universal language.The production companies and individuals who want to get an English voice-over for their project choose their preferences, including British accent, American accent and Australian accent. The English dubbing begins with the project coming to the voice-over agency and performing the translation. One of the most important works is the translation of the script which is the subject of the project, and then the recording is performed by voice talents. English dubbing is the process of dubbing in English for the project in which English is spoken. Arabic voice-overs are among the most preferred languages ​​in the field of foreign language voice-overs. Especially with the Syrian immigration, demand for dubbing in Arabic is increasing every day. In addition to Arabic voice-over and dubbing services, translation and subtitle services are also among the services requested. 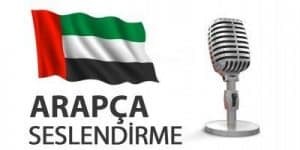 Arabic voice-overs are not only in use in our country, but also in the visual content of the companies operating in our country in foreign fairs and broadcast media. We provide your German projects with German voice talents. Voice talents consist of professional voices in their native language. 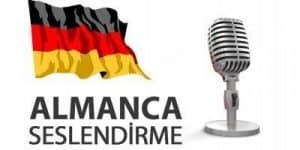 By selecting the appropriate German voice talent for your project, you can ask for the price from voice-over agencies. In addition to this service, translation services are provided to advertising agencies, production companies and digital agencies. Your texts are translated from Turkish to German and from German to Turkish by agencies. German voice talents work on a reputation price. While some of your voice-over pricing is per page, a budget is created based on the number of words. The price of the voice per word times the word count of the script give us the budget needed for the project. You can request German voice-over and dubbing services from the studios equipped with the latest audio technologies in any format. We provide the best Russian voices out there! Each of the Russian voices in the voice bank consists of native professional voice talents. As Russian voice talent in our voice bank work with a reputation price, the word and page count, duration of the project and the media medium must be shared beforehand. While some Russian voice talents work with page numbers, some talents work with number of words. So the media medium and lifetime of the ad will affect the price of the voice-over. In addition to the voice-over and dubbing services, voice-over agencies also offer Russian translation and revision services. 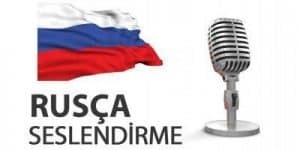 The materials such as video links, texts, ad scripts that you send to our agency will be translated from Turkish to Russian and from Russian to Turkish.